Yesterday’s double suicide bombing in the al-Qazzaz suburb of Damascus claimed at least 55 lives and injured 370. The blasts occurred at 7:56 a.m. at a crowded intersection that is home to a military intelligence complex. The bombs, which detonated almost simultaneously, tore to pieces children on their way to school and incinerated people in their cars going to work in the Syrian capital. The official Syrian news agency, SANA, reported that rescue workers at the scene had collected “15 bags of limbs and torn-off” body parts at the scene. It said that 105 cars had been completely destroyed in the blast. The devastating attack is only the latest in a growing list of suicide bombings by Salafist and Wahhabi elements that includes the April 10 suicide attack outside a Damascus mosque that killed 10 people, mainly soldiers. On Wednesday, a convoy of United Nations monitors involved in overseeing Kofi Annan’s April 12 ceasefire was bombed, wounding eight members of the security forces. The aim is to undermine the Syrian cease-fire, a deliberate policy pursued by opposition groups to encourage and legitimize military intervention by a coalition of Sunni powers, Turkey, Saudi Arabia and Qatar. This in turn is designed to ensure the strategic and military support of the United States, which wants regime change in Syria without committing to a campaign on the scale of that carried out in Libya. Yet the media response to both events follows a pattern. All references to the obvious authors of such acts are attributed to “government claims” of “terrorist groups”, accompanied by denials by the opposition Syrian National Council of any responsibility and accusations that the government is most likely the real author. In contrast, breaches of the ceasefire by the regime targeting the opposition are portrayed as the slaughter of “his people” by Bashir al-Assad, accompanied by declarations that the joint UN-Arab League peace plan is failing. What he meant was that only a political shift that sees Assad’s fall and the installation of a Western-backed opposition will suffice. Turkish Prime Minister Recip Erdogan spent Sunday visiting a Syrian refugee camp, before telling the press Monday that Assad’s regime is “finished”. Defining the UN mission as a failure would be the signal for a shift towards a more overt military campaign. There are around 70 UN observers in Syria, with a target of 300 to be deployed by the end of May. But the US has repeatedly put a question mark over whether it will endorse the 90-day mission set for the observers or whether it will determine that it has failed. “If the regime’s intransigence continues, the international community is going to have to admit defeat and work to address the serious threat to peace and stability being perpetrated by the Assad regime,” said White House spokesman Jay Carney. Meanwhile, the US military is playing the leading role in military exercises in Jordan, across Syria’s southern border, involving some 12,000 troops, including American special operations units as well as Saudi and Qatari forces. However, the US has many factors to consider regarding how openly it becomes involved in a military campaign, including the deep unpopularity of such a move at home during an election year and the opposition it faces from Russia and China. Some in Washington are arguing that an attrition strategy of supporting the opposition and financial sanctions is enough to cripple Syria and weaken Iran as a regional power. But there is a significant lobby for a proxy war waged by an alliance of Sunni states. A lot depends upon how such a war can be instigated and effectively led, given that the UN route is blocked by Russia’s and China’s veto power, and a NATO intervention could prove to be too explosive in the aftermath of Libya. A factor in such calculations is the unreliability and weakness of the opposition led by the SNC and various rivals for Washington’s favours. The SNC is a coalition dominated by Islamist groups that has little cohesion or popular support. The dominant force is the Muslim Brotherhood, which, as in Egypt and Libya, is offering its services as a reliable ally for Washington—part of a new sectarian “Sunni axis” to be pitched against Assad’s Alawite regime and Shi’ite Iran. He cites the backing for the insurgency by Saudi Arabia, Qatar, and Libya and the emergence of such groups as the al-Nusra Front, which has claimed responsibility for several suicide bombings—though this has gone largely unreported in the Western media. 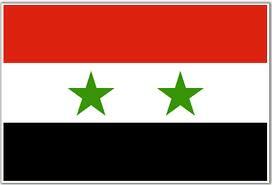 At the moment, everything possible is being done to strengthen the SNC and FSA militarily and politically. In particular, the SNC has been instructed to take more direct control of the uprising by paying known leaders of the FSA inside Syria, using pledges of $100 million from Saudi Arabia, Qatar, and the United Arab Emirates and $33 million from the US.